As a small boy I always had a love of animals and a curiosity and amazement with snakes. I got my first snake at the age of 11 and some 22 years later I am still completely fascinated with them. 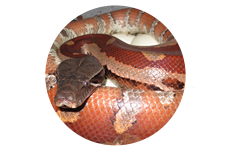 But from the very first moment I discovered the blood python, I was in awe of this wonderful species. This misunderstood snake had an unjustified reputation of being lazy and bad tempered, but I found that this could not be further from the truth. I acquired my first blood pythons some 12 years ago and the more I worked with them, the more I was captivated by them. 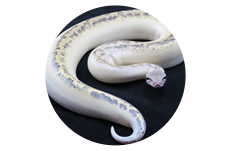 I met Tom after he was the first to produce T+ albino’s, that were for sale in the UK. Our love and passion for Bloods brought us together and we became very good friends. So in 2010, as Tom was about to head to Australia to study to become a vet, we decided to combine our collections. I had already spent a good few years proving out my own genetic lines of Blood Pythons. The Blood Python UK co-dom genetic stripe and Blood Python UK ultra breit. 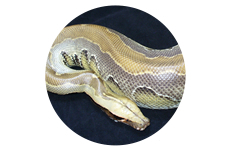 We are still working hard with new lines of blood python morphs and localities as well as the proven lines of mutations. 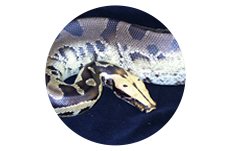 Watch this space for new and exciting morphs and combo’s from us at Blood Pythons UK.